Who is Rosie & Me? Rosie is me and Me is you! So Rosie & Me is actually a collaboration between You & Me! ‘Rosie’ comes from my last name Rosenbrand. 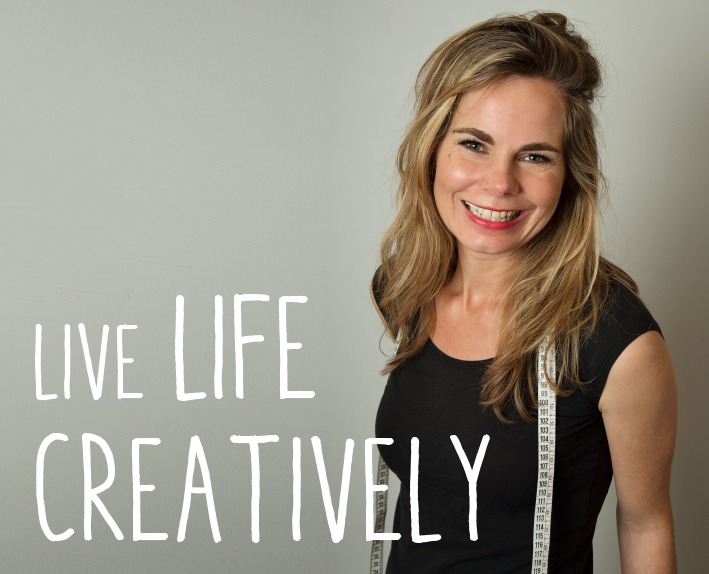 Rosie & Me evolved from a passion for drafting, designing and creating patterns with vintage design details and fit. My name is Esther and I live with my husband, two little girls and not so little dog in Culemborg (The Netherlands). When I am not chasing my girls, my dog, or sometimes even my husband, I like to design patterns that will hopefully inspire you to create your own unique one-of-a-kind garment. 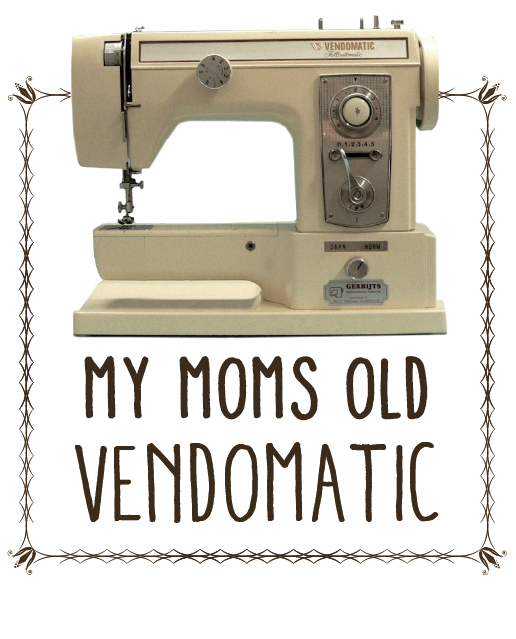 When I was about twelve years old, my mom taught me with loving instructions how to sew on her old heavy duty Vendomatic sewing machine.… something like this old puppy to the right. I followed the sewing magazines that were popular in Holland, but often I wanted the design and especially the fit completely different then these magazines had in mind for me. This resulted in disappointed creations that regularly ended up in the trash bin. But my interest stayed and after I moved in with my American boyfriend (now called husband), I went back to school to start to follow fashion design in San Francisco. Since then I have worked as pattern maker, technical designer and product developer for several great companies and brands like Levi’s, Mexx, We, Nike and PePe Jeans. I have learned a ton and worked with great inspiring people, but now I am ready for the next step: I am starting my own pattern brand Rosie & Me. It feels great to let my creativity flow freely. And I am excited to develop and offer patterns that I believe helps the modern sewer create what makes them happy. My love for vintage patterns (specifically from the 40’s and 50’s) was born after meeting my great pattern teacher Sandy Ericson (also known from center for pattern design). She taught with inspiring enthusiasm the different techniques of pattern design. But instead of using modern schoolbooks she preferred a specific pattern book called Practical Dress Design (by Mabel D. Erwin) from 1954. She believed that if you can draft vintage patterns (as explained in this book), you can draft any pattern! Lycra or stretch was already available then, but only used for underwear. So all shaping of body curves and design details had to be achieved by good pattern making techniques. The fashion trend in these years were also very feminine with great details to accentuate the female body. And she was right! It was a feast to work from this book and her enthusiasm definitely rubbed of on me. Now that I started Rosie & Me I can finally share this enthusiasm with others.